If you can't describe the goals that you want to achieve with your next custom software project, it will be nearly impossible to measure its success. You need to understand the objectives that you have for the software, such as improving efficiency or reducing errors, as well as the metrics and KPIs that you'll use to assess the software's performance. Solution: Understand your complete business needs and objectives well before you speak with third parties. Every step needs to be mapped out, from the requirements and design to the scope and deadlines for testing and deployment. When projects expand beyond their original boundaries without making proportionate adjustments to time and budget, scope creep is the result. Forty-nine percent of organizations report that one or more of their recent projects was affected by scope creep. As a result, only 57 percent of projects finish within their budget and only 51 percent finish on time. The problem of scope creep is particularly rampant among software development projects. Clients ask for additional features, integrations, or changes once development is already well underway. This can cause disruptions, delays, missed deadlines, unwanted overtime and, ultimately, an unsatisfactory product. Solution: Talk to everyone in the business to make sure that all key players are on the same page regarding project requirements. The contract should use clear language about what the project includes and does not include, as well as provisions for what happens if the client requests changes midway through the project. Even if you do document all of your company's goals for the project, you can still be unsatisfied with the final results if your development partners don't have clear acceptance criteria. Without consistent and clear communication, it's easy to fall prey to incorrect assumptions about what your development partner is doing or thinking. This problem typically occurs during your first project with a new partner, since you aren't yet used to working with each other. Solution: Don't make any assumptions about your partner's knowledge or behavior during the sales process. Your partner should give you frequent status updates throughout the project and come straight to your designated point of contact with any questions. 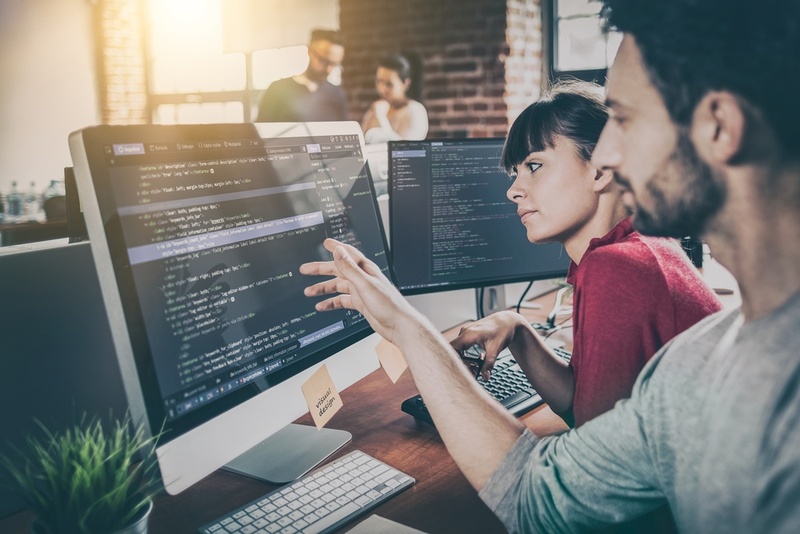 Delays or failures during custom development projects often occur when the developers realize that the work is too advanced or too unfamiliar halfway through the project. This is more common when working with freelancers or in-house developers; development firms will likely do their due diligence during the sales process in order to avoid the risk of project failure. Solution: When talking with potential partners, ask for examples of similar projects that the partner has already worked on. If this is a major concern for you, then going with a development firm is likely less risky. Larger firms tend to have more development experience, and have a better handle on the types of projects and technologies that they're well-suited for. Security concerns for custom software come in two forms. First, you should consider the software's specific security needs. For example, user input on websites should be sanitized, and passwords should be hashed or encrypted. Industry-specific regulations, such as HIPAA for healthcare organizations, may provide further guidance on security best practices. Second, even after the software has been developed, you need access to ongoing support and maintenance to catch new security threats and protect the software against them. IT security is a moving target, as new attack vectors are constantly discovered and patched. Solution: Map out your enterprise needs in terms of security during the planning process. This includes concerns such as the type of data that will be on the platform and the laws and regulations that you need to comply with. Convey this information to your chosen development partner. Make sure that any security holes are patched quickly, and that you have access to ongoing support that can help your business stay secure. Freelancers can be a good choice for some development projects, especially when you need a simple application done quickly. However, they're also generally less reliable and predictable than large development firms. The erratic schedule of many freelancers means that they may be less available for work and more likely to let deadlines slip. Solution: Create well-defined contracts when working with freelancers. If possible, work with freelancers with whom you have an existing relationship. If there's one unifying thread between the six pitfalls above, it's this: Do your homework well in advance so that things go as smoothly as possible. Make sure that you've clearly defined your goals before development begins, and make sure that everyone involved is on the same page regarding the project's objectives, scope, deadlines and resources.